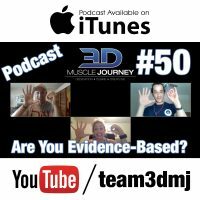 #50: How do you know if you’re evidence-based? You are here: Home / Podcast Episodes / #50: How do you know if you’re evidence-based? What does it mean to be “evidence-based”? What else besides research reviews, meta-analysis and individual studies, fall into this category? Once we have the evidence, how should we go about actually applying it? 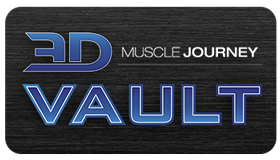 It today’s podcast, Eric, Andrea and Alberto talk about the up and coming era of evidence-based bodybuilding, within the natural community. Although it is important, depending on the “role” you play (athlete, coach, writer, etc. ), your ability to interpret research on your own, becomes more or less important. If you want to make a name for yourself as a coach, do you have to put out evidence-based content? How can you distinguish between a con-artist, versus someone who actually knows what they’re talking about? If you don’t currently know how to interpret data, but you want to learn, where is a good place to start? For answers to all these questions plus many more, tune-in to today’s episode!